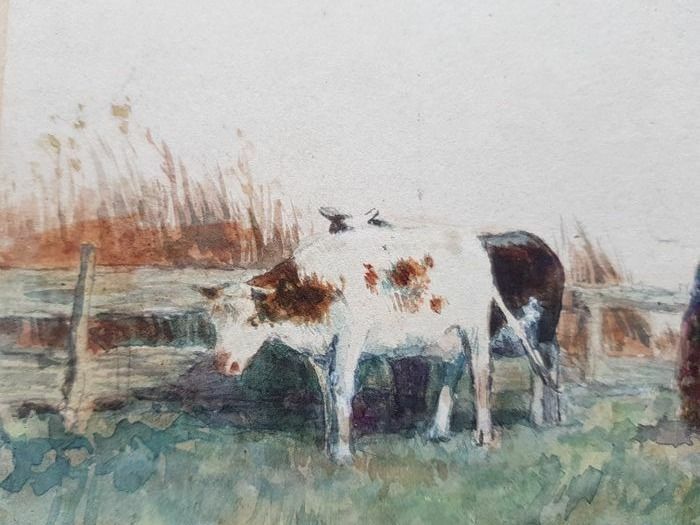 Dutch painter and gifted watercolourist. Started as a student in the studio of Peter Frederik van Os from 1854-1857. 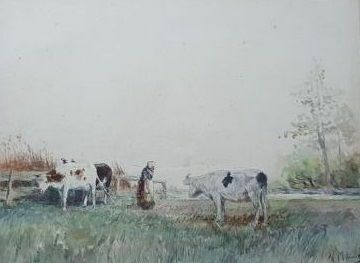 In 1858 he was a student of Wouterus Verschuur. 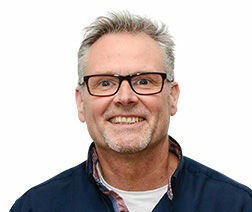 In his further development he has worked with Paul Gabriel, Muarice Heijl and J.J. Doffegenies. 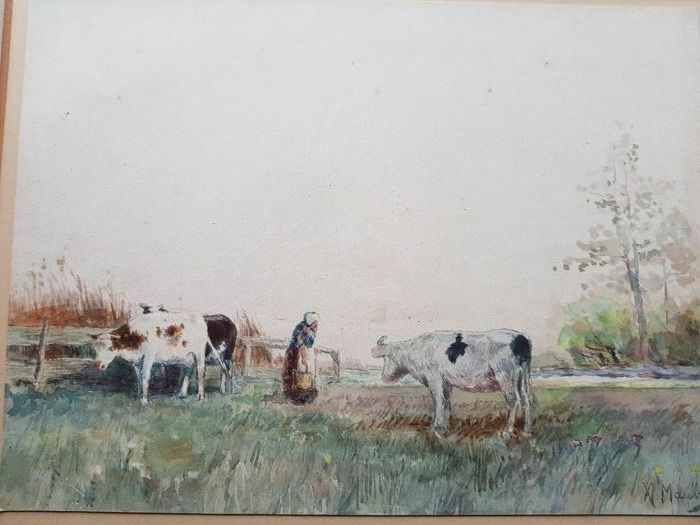 Painted and water coloured in the style of the Hague. School. 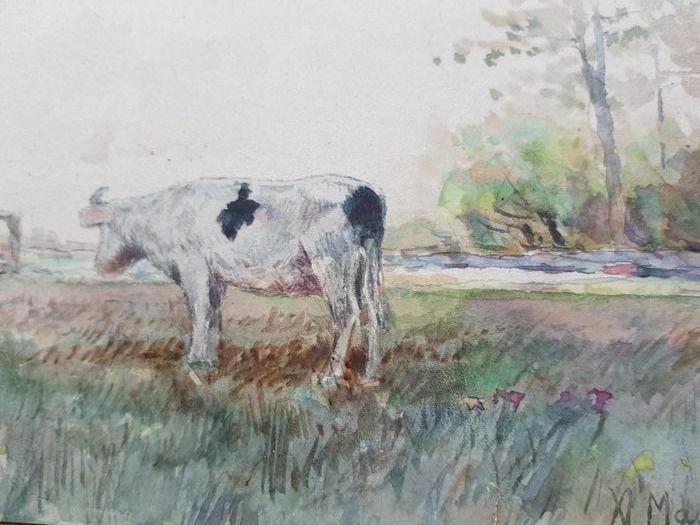 Lived and worked in the area of Laren(NH) where much of his works come from. 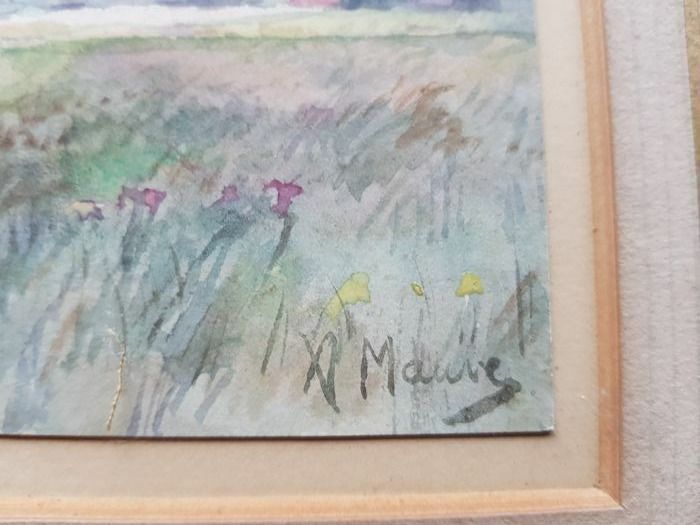 The watercolour has been updated in some places, grassland and tree while the M of the signature has been added. 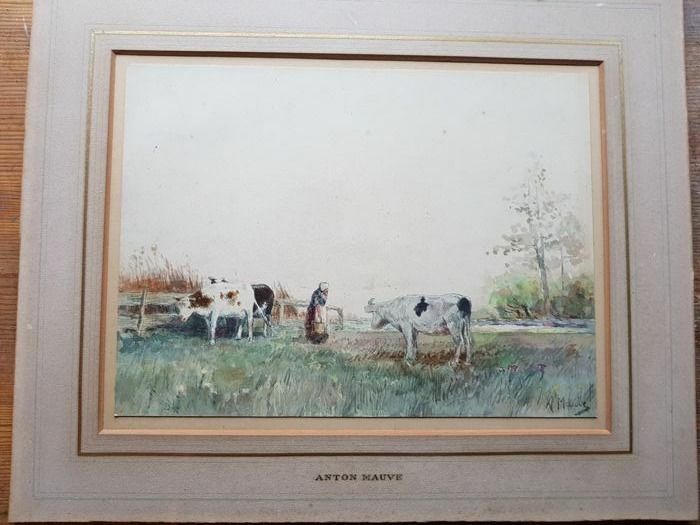 Furthermore, the watercolour is original and made by Aton Mauve. 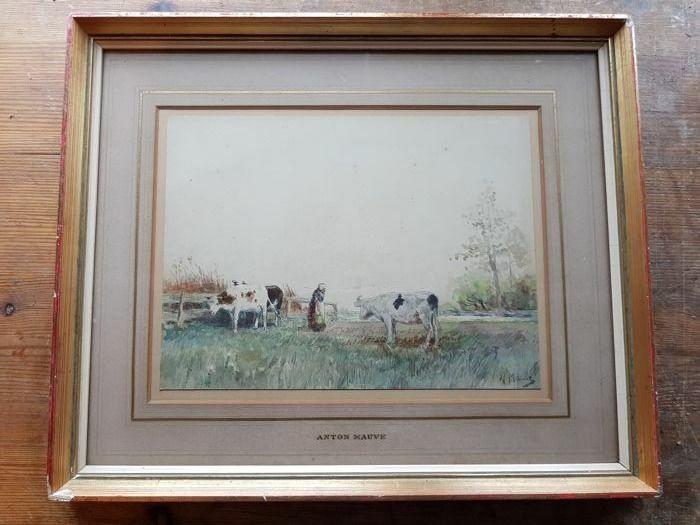 The condition is reasonable, some foxing and some discoloration. 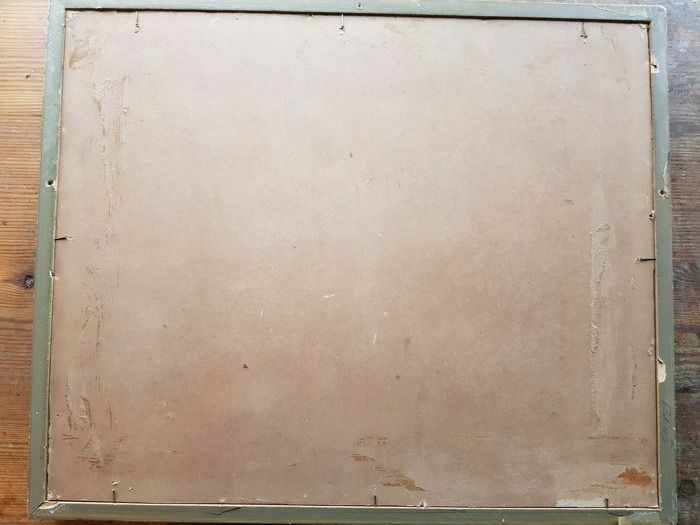 The frame lacks some small pieces. Nice work.